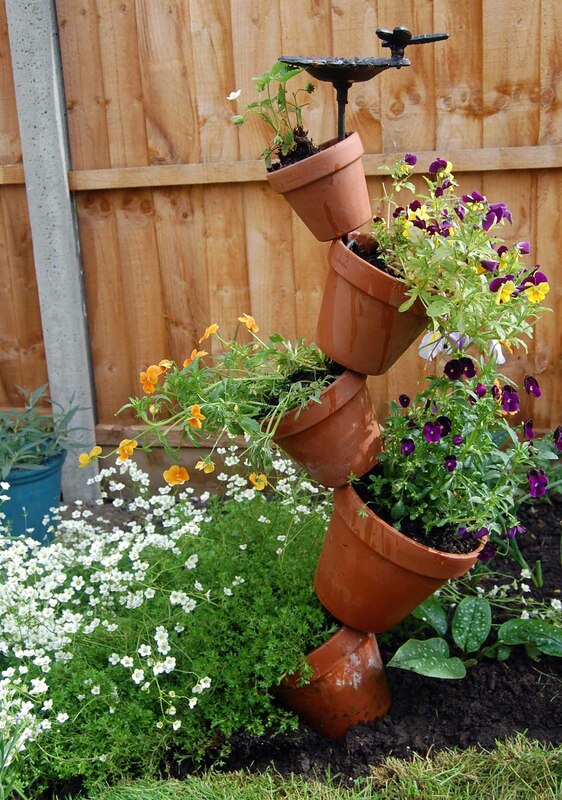 Tipsy pots planters became extremly popular now.. (at least according to Pinterest :) Here is my take on it.. 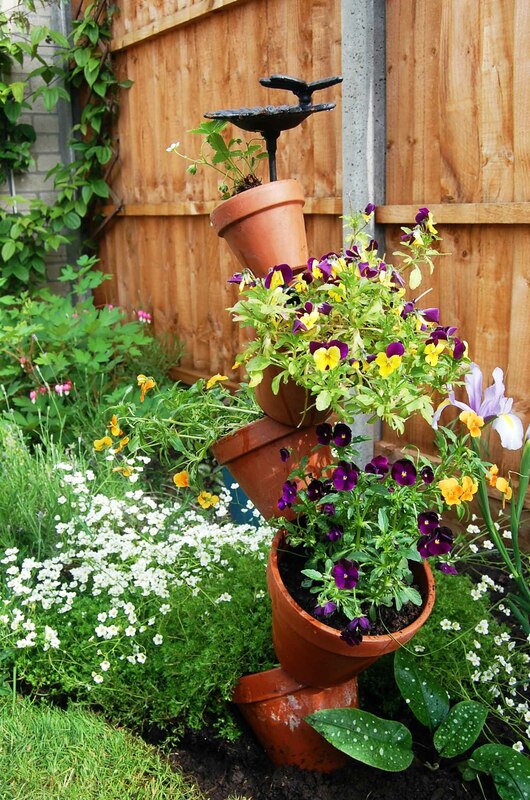 I pinched pinned this idea of a tipsy-pots-and-bird-bath-tower from this web site. 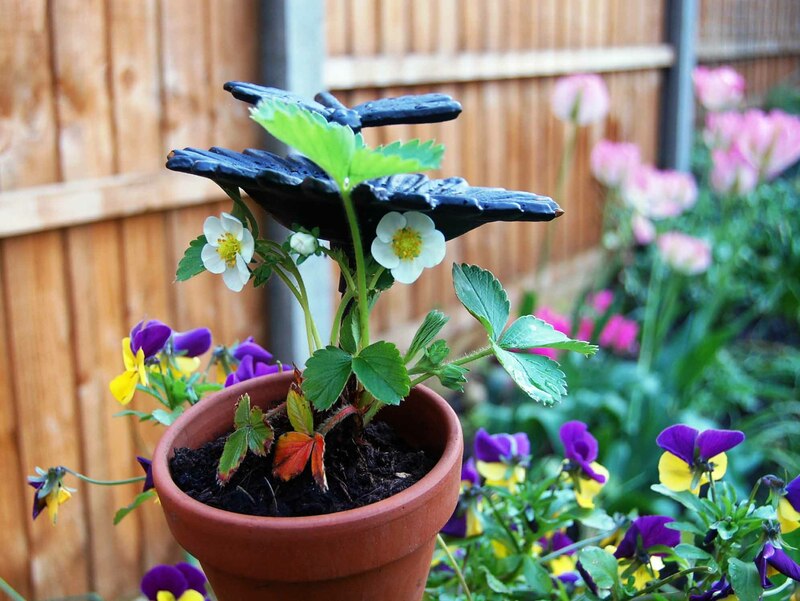 It is certainly a cute idea and looks quite spectacular when the flowers are at their best.. 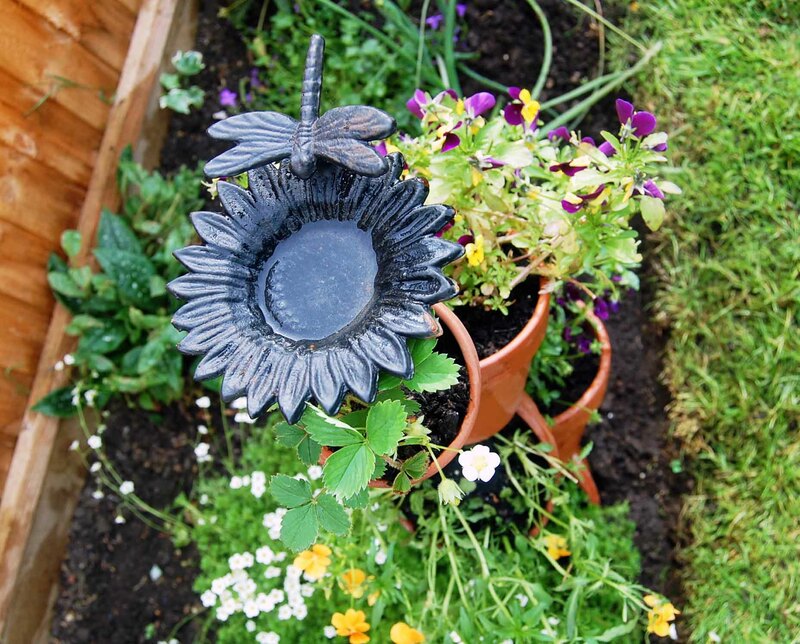 However, I found out that pots dry out very quickly (and I did add water retaining crystals), even now when the weather is not particularly dry and sunny..
Clay pots normally dry out quickly and being “tipsy” doesn’t help retaining water.. 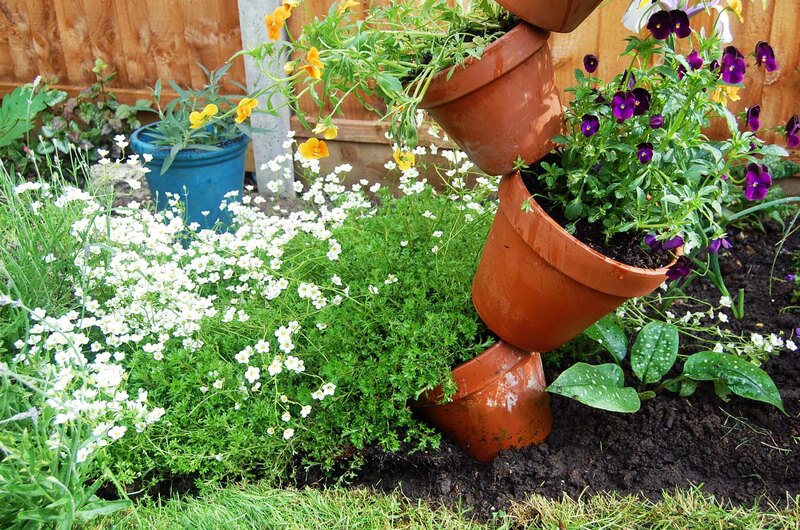 Plastic pots, probably, would be better, but they don’t look as nice, I think..